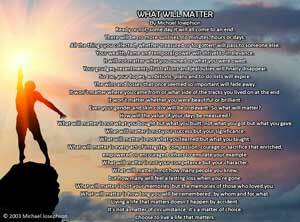 Living a Life That Matters QUIZ: What would you do? Handling an upset customer. An important and demanding customer has just called. He is upset that his order has not been delivered. You quickly research the issue and discover that you forgot to give the order to the factory, and it will take at least two weeks to get the customer what he needs. If you tell him the truth, you think he may take his business elsewhere. A co-worker concocts a plausible story that might divert his anger elsewhere and save him as a customer. What would you do? What should you do? Write your answer in the comments section. Tell the truth – apologize for my ineptitude and tell him that I will move heaven and earth to get it out to him as early as possible. I would explain the error/oversight truthfully, and sincerely apologise. I would offer to expedite the order to deliver ASAP, and include a bonus of some kind to show goodwill. But, I would also provide the customer with at least one alternative source, directing them to a competitor, so that if time is critical, they need not be further inconvenienced by my error. Hopefully they might appreciate my honesty and effort, and remain or return as a customer. If not, I know I’ve done the best I can to minimize the inconvenience. I will tell the truth and deeply apologize about my error, I woukd too expedite the order for over night delivery and offer some discount. And explain them if they go with the competitor the order will take even more time than the over night delivery. Tell the true that I forgot the order and apologize for my mistake. If he give the time I will get product else where . The ethical response also happens to be the best business in this case: tell the truth, in revealing the mistake AND in offering special service (expediting order, discount now and for future order). This can not only result in impressing the customer (even if immediate need costs you this transaction) but also builds a work ethic of responsibility, honesty, and actually excellent service among employees. Even workplaces have “teaching moments”; this is an opportunity for employees to analyze what happened, identify any systems improvement (for example in semi automated tracking of orders), and re-affirm the corporate values internally and externally. Honesty is a win-win here. Dishonesty to customers encourages dishonesty throughout the workplace, including among work teams; it encourages irresponsibility. I think. I would tell them to take a deep breath. I would apologize. Think about the situation before you start getting upset. I would first contact the manufacturer to request a rush order, or inquire about a pick-up order if I was to personally drive there myself, (if possible). If arrangements could not be made with my usual manufacturer, then I would get on the phone and do the foot work myself to assure that I could set-up the order for my customer in a reasonable about of time, even if it meant that I used my own time in doing so. Before I contacted the customer, all options would be known to inform him of the best decision that could be made. Once all arrangements were covered by an option he could utilize, then I would contact him, apologize sincerely, explain that it was my error and give all the options available. Then he could make the most informed choice, that would meet his expectations. I would also assure him that this mistake would not happen again. Then strive to make sure that it didn’t. The last step would be follow-up with him to be confident that he has received his delivery in a timely basis, making myself available if he had further need for assistance. First and foremost, take personal responsibility for the error and empower the customer to forgive you, while controlling the outcome. It is all about the core value of reputation and honesty. Most customers just want to see your reaction and play off of that “ego” driven response. I found that once you empower the customer to realize that they are providing the solution to the issue, they will be happy with the result. Placing a quality assurance process in place, to navigate through each unique occurrence, will activate proactive prevention principles that are in constant motion. I would tell the truth and apologize for my mistake and offer a gift for his troubles. IF you tell the truth it will often help you more than lying because you may have to tell more lies to keep you first in tact. i would explain what happened i would put the customer first and i would then ask how i could help with the matter. Tell the truth, the customer will no doubt be mad but will know that you are being honest and taking the responsibility for the mistake. Apologize, tell the client that it was a personal oversight on your part and in explaining how important his business is to your company, offer a generous compensation for the additional wait time, assuring him that you’ll do your best to see that this doesn’t happen again. Be sure to, in a humble manner, make your co-worker aware of your solution to the problem.